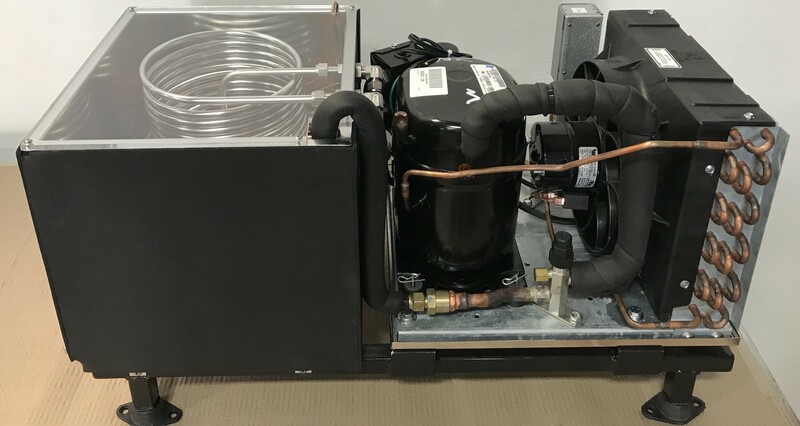 Webber EMI manufactures a variety of Water Baths and Chillers, designed to remove moisture from a sample gas before going into an analyzer. Water Baths are available in multi-coil configurations with up to 4 sample lines per unit. Chillers are available in single coil configurations, one sample line per unit. If your application is unique, we will use our experience to customize one of our benchmark applications to satisfy your requirements. Webber EMI basic 2-Coil Water Bath is ideal for most sample conditioning applications. The sample lines can be plumbed separately or in series to double the effectiveness. 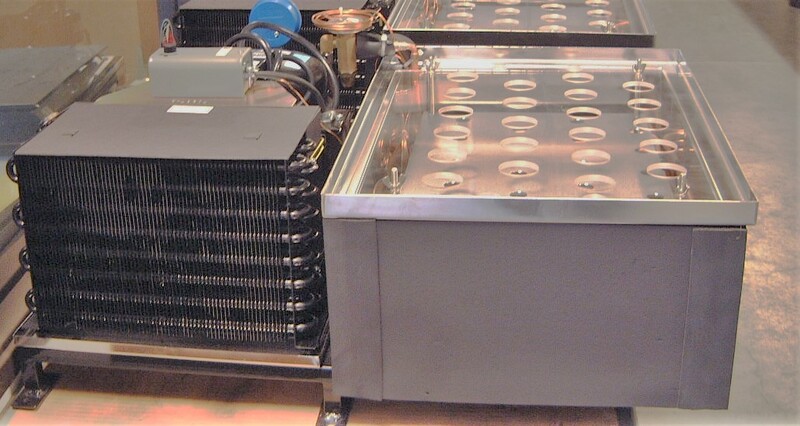 The 4-coil Water Bath (shown) provides four separate gas sample lines. 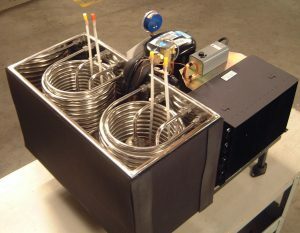 Webber manufactures a variety of tube baths used for Impinger sampling applications.